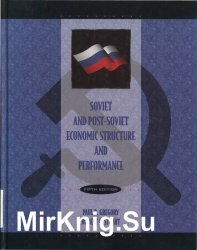 This text has been updated to focus on the radical changes which the former Soviet Union has recenly experienced - its reorganization and its transition from a planned to market economy, examining the history of the Soviet Union more succinctly than in previous editions. The main focus of this edition, however, is on Russia and the CIS states - the nature of their immediate Soviet past, the meaning of that past experience for current problems and policies, and the nature of contemporary working arrangements and outcomes. Designed for courses on the Soviet and post-Soviet economy or comparative economic systems, it offers comprehensive coverage on the subject, includes new performance data and the latest information on Russia and the CIS states, as well as stressing the increasing importance of trade.